A DIY gift bag is an excellent way to add even more thought to a present. 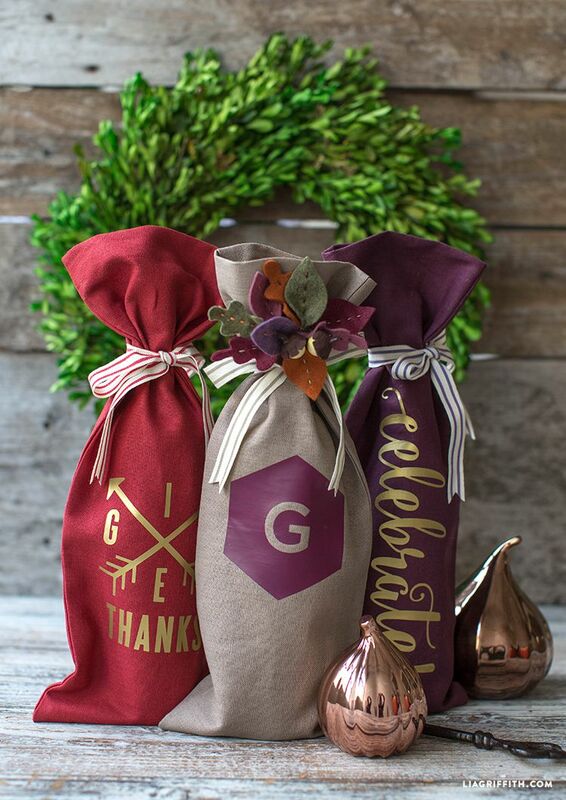 While some of these gift bags will save you money, some will take a considerable amount of time to make, depending on how intricate you want to get with your design. 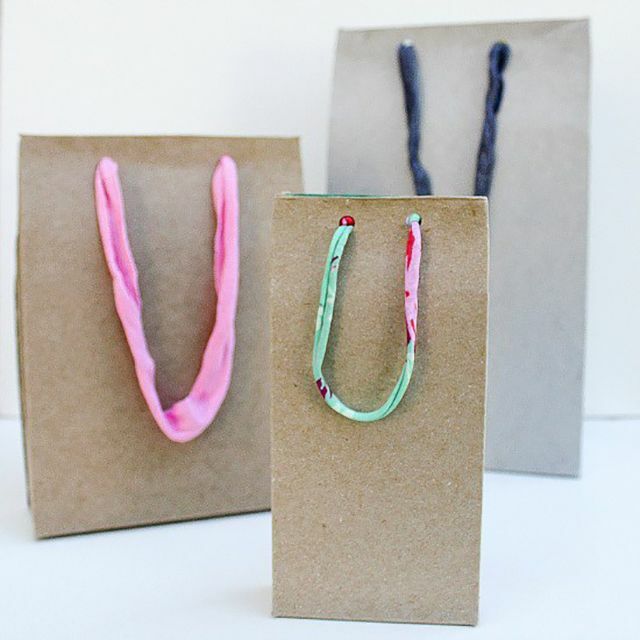 There are a few tried-and-true methods for how to make DIY gift bags. We have some of those classics to share and then also some ideas that are a bit more complicated and out of the box. If you don't like to waste anything, consider repurposing a cardboard box from your recycling bin. Make some cuts to the box, flip it inside out, then reattach. Add color and style with various fabric scraps for the handles. Gift bag templates make it much easier to create bags with different shapes and sizes. The clearer the instructions, the more likely you will fold the paper in all the right places. This example tutorial is one of the best templates we found for making a straightforward DIY paper gift bag. Learning how to make handmade gift bags doesn't need to be overly complicated. If you are making a small bag intended for treats or party favors, you can print a template right off your computer. You can make a fabric gift bag with little-to-no sewing experience. This version does require some sewing, but you can make a similar bag using fabric glue if what you intend to carry isn't heavy. Opt to sew the bag if you want to transport glass wine bottles. This DIY gift bag is a way to add dimension and interest to a present without needing to spend a ton of money on a designer gift bag. Consider this style for smaller gifts like jewelry. Handmade paper gift bags can be made out of any type of paper, but we suggest using something like cardstock or scrapbook paper. Cardstock will hold up well and can be reused time and time again. Scrapbook paper has a ton of fun designs to consider. Do you have a ton of wrapping paper left but need a gift bag to hold something that is awkwardly shaped? Make a DIY gift bag out of the wrapping paper you have on hand. It's much easier than you'd think! Sometimes making a gift bag on your own doesn't necessarily mean making it from scratch. Purchase some inexpensive craft paper bags and customize them to your liking, depending on the occasion. We don't suggest ripping apart antique books that could be valuable, but some books or magazines would work well for this project. Even a newspaper would work, but you might have to double the pages for durability. Sometimes it makes sense to have the gift bag be part of the gift. For example, if you plan on gifting crochet supplies, perhaps you put them inside a crochet bag that the person could use for storage. If you're throwing a party, spend some time on the smaller details that will tie everything together. Little signs are a charming and fun way to make treat bags seem more custom. Homemade gift bags come in all shapes and sizes. Some are even made with a very specific gift in mind. These tea-boxes are customized to fit all sorts of tea accessories right inside. This technique might seem intimidating, but the end result is worth it. If you have an old shirt that you want to donate, consider using it for a quirky gift bag instead. After the gift-giving, the bag can be reused as a grocery tote or even a purse. Do you want to learn how to make a paper gift bag without glue? One option is to look up different origami patterns that require no adhesive This origami shape is tied together with a ribbon and would fit many small-scale gifts. Earlier we shared an idea for a larger fabric gift bag that is perfect for wine bottles. These fabric gift bags are much smaller in scale and would work well for treats and party favors. The nice thing about investing in fabric is that the resulting gift bag will be much more durable and can be reused time and time again. Did you find a DIY gift bag that would work for you? Remember that homemade gift bags can be fragile if made incorrectly. Make sure that any paper you use is thick enough to withstand being held by the handles. Test the bag out in advance so you don't end up with a broken bag and gift at the party.